Consumers turned to mobile devices in record numbers on Thanksgiving Day and on Black Friday in the U.S. for purchases, with 66% of orders made with a phone or tablet -- up from 58% in 2016. The numbers from Shopify show that desktop sales continue to drop, accounting for the remaining 34% -- down from 42% during the 2016 Thanksgiving holiday weekend in the U.S. The company also began sharing a global look at live sales during the holiday weekend from its Live Data Dashboard. The heat map shows where sales originated through Shopify’s platform. The dots represent global sales from merchant stores, and the lines indicate where the buyers are relative to the shops. Adobe reported that mobile set a new record during the Thanksgiving holiday weekend, representing 53.3% of visits -- about 44.6% attributable to smartphones and 8.7% to tablets. Mobile drove 39.7% of revenue -- 29.8% from smartphones and 9.9% from tablets. Smartphone traffic specifically grew 21% year-on-year (YoY), while revenue coming from smartphones saw 41% growth YoY -- a new record. For the holiday season, Adobe predicts online holiday sales will rise 13.8% to reach $107.4 billion. On Monday, comScore released numbers that estimate about 115 million people visited online retail sites on Thanksgiving, 61% of whom only visited on their mobile devices. Some 129 million people visited online retail sites on Black Friday, up 14% compared with last year. About 55 million came from desktops and 104 million from mobile. Some 30 million came from both type of devices. Criteo also saw an increase in purchases from mobile devices on Thanksgiving Day, and reported that spending peaked online at 9 p.m. EST, with 46% of all purchases occurring on mobile phones. Across the board, consumers demonstrated a higher propensity to spend. The average order value for the day came in at $180 -- up $24 more than the average day for the month among the billions of product searches and millions of completed transactions on retail sites that Criteo supports. Black Friday has fizzled out a bit. Online shopping on Black Friday did not show the gains it had in the past because retailers triggered deals earlier in the month, but gains still hit more than 50% during the first week of November. Criteo reported that on Black Friday the number of online shoppers rose 3.5% compared with last year, and the number of purchases rose 12.5%. 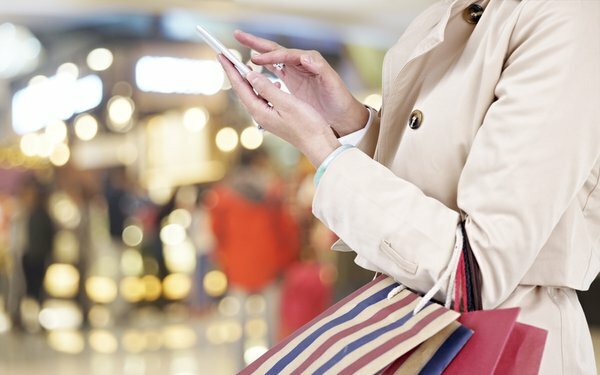 Some 40% of transactions were completed on mobile devices on Thanksgiving Day, according to Criteo. Salesforce Commerce Cloud reported similar numbers for Thanksgiving Day and Black Friday. Mobile traffic share demonstrated the biggest increase, from 52% in 2016 to 60% this year. Mobile order share also jumped from 34% to 42%. Overall, sales on Thursday and Friday rose 26% compared with the same days in 2016. Traffic to sites rose 19% -- flat compared to last year. Salesforce reported that the average order value rose from $120 to $122. Mobile order share rose from 34% in 2016 to 42%, and social traffic share rose from 4.1 to 4.7%, respectively. Mobile traffic share demonstrated the biggest climb -- from 52% in 2016 to 60% this year -- while mobile order share also jumped from 34% to 42%.